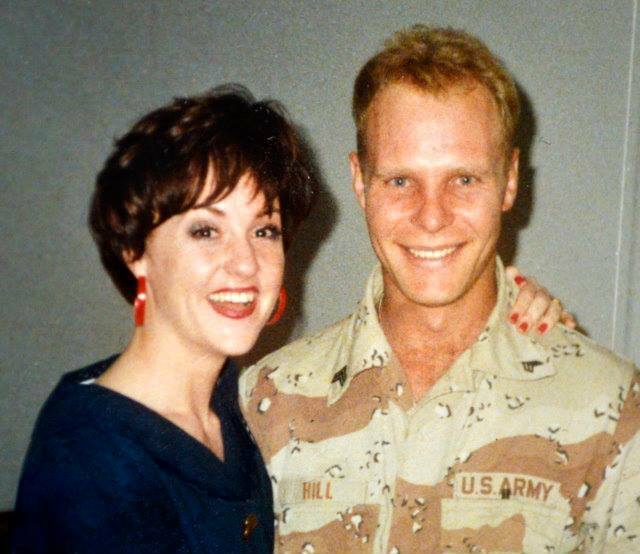 Brad gives a sand-caked smile moments after he disembarks from the Army plane that brought him safely home from war. Thankfully, my brother lived to tell about his time serving in Desert Storm. And, an uncle of mine lived to tell of his experiences on the Navy ship that transported Marines to Vietnam. — My grandfather, however, would never talk of his experiences in Germany and France during World War II, nor of his time in the Korean War. I’m grateful that today’s veterans talk more openly about their experiences — and that America has responded with more support. 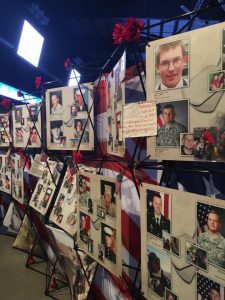 Traveling exhibits of fallen heroes like this one pictured here from Iowa, keep their memories alive and show the humanity inside the uniforms. Many participate in events and frequent gatherings, and take part in support systems. But some still are not taking part in, or are not aware of, benefits provided by the Veterans Affairs administration. Today is a great time for a check up, especially if you or someone you care about is battling Post Traumatic Stress. Click here to learn more and see if there are some benefits you could be utilizing — or just maybe you could offer some help to someone else.